In Waterloo Region high tech is king. The cities of Kitchener and Waterloo have recently announced contributions to Communitech expansions in the hundreds of thousands of dollars. Meanwhile, Lear Canada and Schneider’s — two iconic Kitchener factories — have quit production. But manufacturing in Waterloo Region is not dead, and in the shadow of those downtown factories and condos, Sauer & Steiner Tools is keeping small scale manufacturing alive. 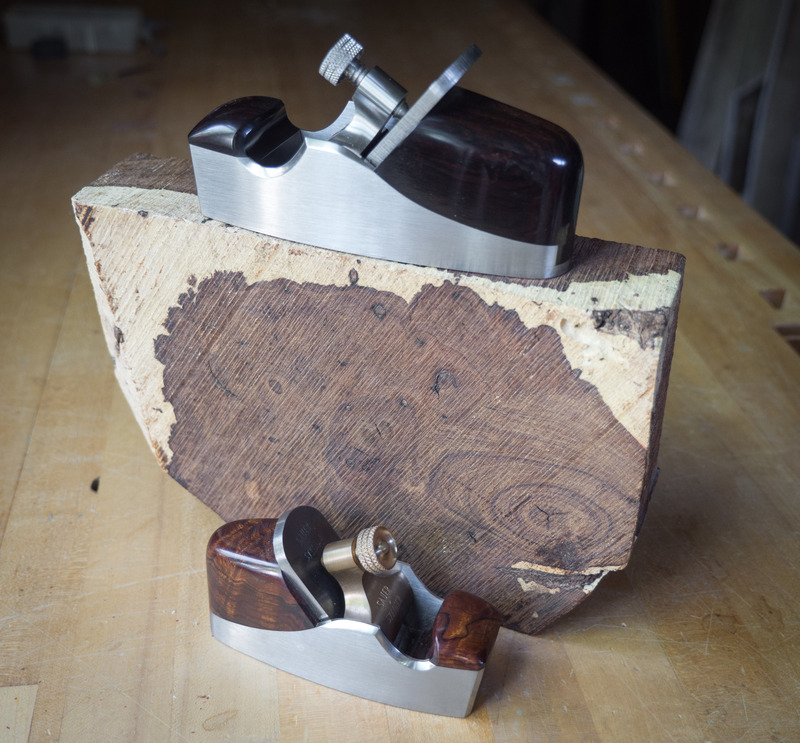 Konrad Sauer makes hand planes in a converted two-story garage behind his house. Handplanes are indispensable tools for smoothing, shaping, or straightening wood. Sauer’s planes, nearly all custom made, are loved by cabinet makers or luthiers who appreciate the care and quality Sauer puts into his tools. Sauer worked in design in Toronto for a little over ten years before realizing that making furniture for his house was far more enjoyable than working as an art director. At some point in those years he purchased an old Scottish-made infill plane, and was blown away by how well the tool worked and how much he enjoyed using it. they’d consider making one for her too. “We sat down at a Tim Hortons and wrote out a business plan, and the first thing we wrote was ‘If it’s not fun it’s not worth doing.’” They quoted their first client a number, one they thought too high, but ended up getting the commission. After two years there were enough commissions for Sauer to buy Steiner’s share in the business, and the reigns amicably transferred over to Sauer and his workshop. The values placed on particular objects in our society are, Sauer believes, off kilter with the actual value of the materials, and the immense amount of knowledge that is required to create quality products. Value of material and labour is intrinsic to Sauer’s work and life. His planes are generally made with rare, slow-growing, equatorial woods, like Rosewood, which is stable, and does not expand and contract like other woods. “People are so separated from anyone who makes anything anymore. I’m making planes for furniture makers who are still using their hands to make stuff. I have very few conversations about pricing because they automatically get it. They understand what it takes to make something,” says Sauer. But don’t discount Sauer as a Luddite. He believes the high tech sector in Waterloo Region has an important role to play, and points to the money and investment in high tech that allows specialty businesses, like local coffee shop Smile Tiger, and highly skilled creators, to thrive. Sauer says it doesn’t matter how we get people to recognize the true value of things, so long as we start to recognize that our consumeristic culture is harmful to consumers and producers alike. Food producers at farmers markets and local coffee shops, believes Sauer, may be a redeeming aspect of consumer society. “People are becoming more aware of what they’re eating, and much more willing to spend money to buy high quality food.” To Sauer this is the same side of the same coin as his work, and the high quality furniture his own clients create. The solution to society’s rampant consumerism? According to Sauer, people need to start making things.